Bay Farm’s 8th grade class participated in the Youth Writer’s Program (YWP) for National Novel Writing Month (NaNoWriMo) in November. Students’ goals were to write a novel in a month. 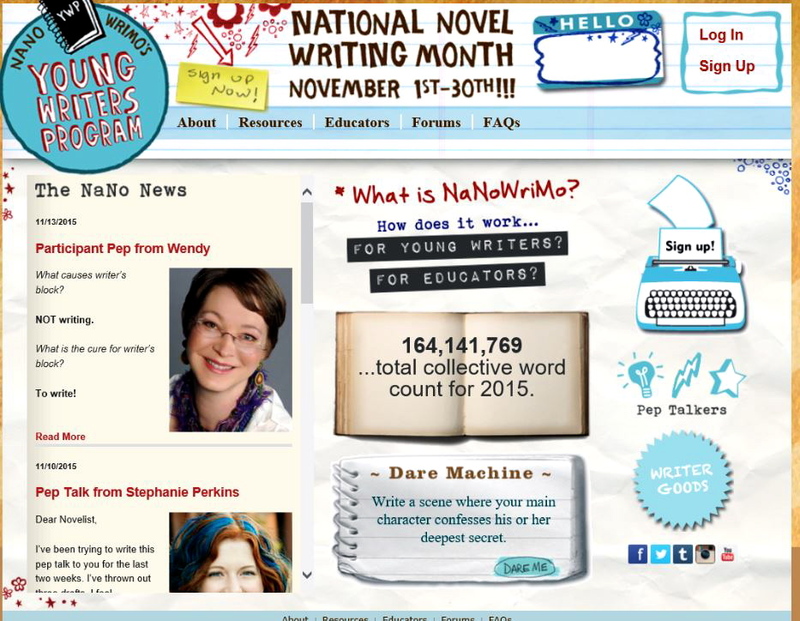 NaNoWriMo originated here in the Bay Area in 1999 with 21 participants. Now, in 2015, the program is worldwide with more than 400,000 people participating. It takes place over the month of November. Students can use any document program in order to write and complete their novel. They can write in almost any genre, such as adventure, science fiction, historical fiction, as long as it is approved by 8th grade teacher Katie Linderme. By being members of the Youth Writer’s Program for NaNoWriMo, Bay Farm’s 8th graders learn the many aspects of writing a novel and receive the encouragement that they need from fellow writers. While they write, students receive inspirational posts from authors, students, and other writers on the official website. For instance: “Writing stories is hard work. Don’t let your friends or family tell you any different. From the outside, it looks like sporadic tapping on the keyboard, distracted sips of coffee, and long stares out the window. But inside, you’re wrestling demons.You’re about to bring a new story into the world, which is both incredible and incredibly important,” said Gene Luen Yang, a graphic artist who wrote the first author pep talk for YWP and adults who participated in NaNoWriMo this year. 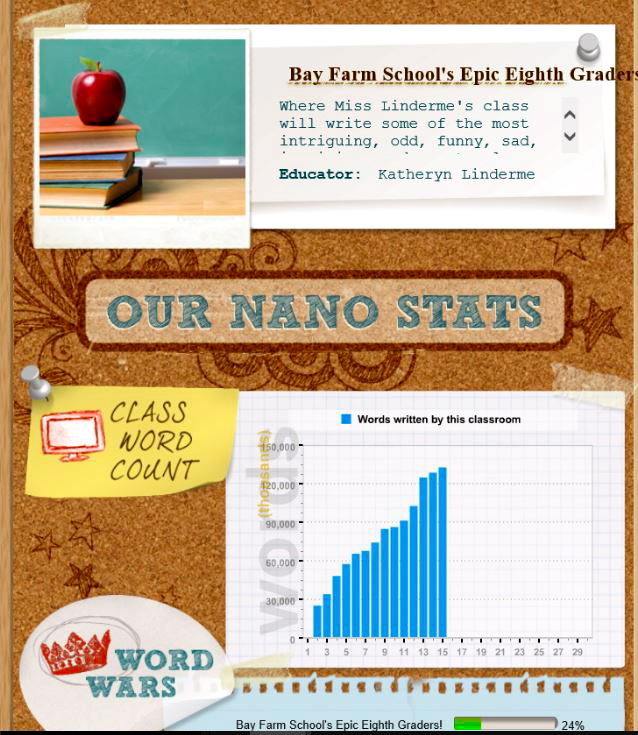 Ms. Linderme introduced NaNoWriMo to this year’s 8th grade class in the month of October, before they could actually start writing. She also helped prepare her students by teaching them how to fully develop their idea and how to turn it into a novel. They either set their own personal word count goal or used the word count goal calculator provided by NaNoWriMo’s official website. If students exceeded their word count goal, by updating their word count everyday, they could earn a web badge and certificate. The students also get free printed copies of their own novels if they complete them. Students can upload excerpts, summary, and even their book cover onto their profiles. At the end of NanoWriMo, a total of eight Bay Farm 8th grade students finished their novels and met their word count goals. Reaction to trying to write a novel was mixed among Bay Farm 8th graders.